Phil Tippet’s unique creatures and solid acting performances by David Duchovny and Julianne Moore couldn’t bring Evolution past a primordial stage. You might even be disappointed paying the matinee price for this one. 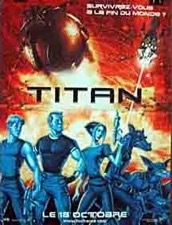 What a great movie! 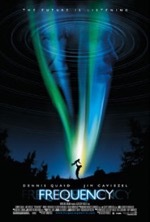 Frequency has a riveting, pulse-pounding plot and excellent performances by Dennis Quaid and James Caviezel as a father and son duo separated by time, but mysteriously connected by a HAM radio. Every time they alter history, a new set of variables come into play, creating more problems and ratcheting up the tension. This Murphy’s Law scenario is wildly entertaining—if not a bit far-fetched—and the ending twist makes you want to stand and applaud. The most enjoyable movie I’ve seen this year. This good-natured spoof of Star Trek (specifically) and other sci-fi shows (generally) is a laugh-a-minute thrill ride that avoids ruffling the feathers of hard-core fans by never taking itself seriously. Tim Allen is flawless as Commander Taggart…he has Shatner’s strut and swagger down to a tee. In a memorable turn, Sigourney Weaver plays Lt. Tawny Madison, the communications officer who relays orders to the crew by repeating, verbatim, everything Taggart says…it’s her one job and she does it well. Tony Shaloub is absolutely hilarious as the incompetent engineer, Tech Sergeant Chen, and Sam Rockwell’s character, a no-name security officer who was killed off in Episode #81, is an obvious poke at Star Trek’s predilection for hurling red-shirted crewmen into harm’s way. Alan Rickman, as the Spock-like alien, Dr. Lazarus, paints the perfect picture of a once-serious actor who’s been typecast by legions of fans who clamor for him to recite his famous line: “By Gramthar’s Hammer…You Shall Be Avenged!” An exaggerated look at fandom and sci-fi conventions, Galaxy Quest features colorful characters, witty dialogue and excellent special effects: this is one exciting romp through outer space. 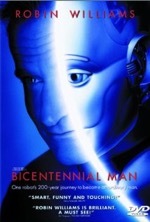 Bicentennial Man is a touching tale, which chronicles the decades-spanning journey of a robot in his quest to become human. 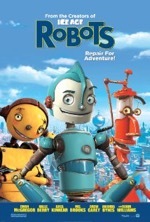 Based on a story by Isaac Asimov and played to perfection by Robin Williams, the movie’s only downside is that it runs about twenty minutes too long. Sam Neill, Oliver Platt and Embeth Davidtz contribute excellent supporting performances.